This present study examined the structure of posttraumatic stress disorder (PTSD) symptoms in a large sample of Chinese adolescents exposed to a deadly earthquake. A total of 2,800 middle school students aged 12 to 18 years participated in the study 6 months after the “Wenchuan Earthquake”. Results of confirmatory factor analysis indicated that a five-factor intercorrelated model composed of intrusion, avoidance, numbing, dysphoric arousal, and anxious arousal, fit data significantly better than both the four-factor numbing model King et al. (Psychological Assessment 10:90–96, 1998) and the four-factor dysphoria model Simms et al. (Journal of Abnormal Psychology 111:637–647, 2002). Further examination of the external convergent and discriminant validity revealed that except for the dysphoric arousal factor, the remaining four PTSD factors yielded significantly different correlations with external measures of anxiety vs. depression. 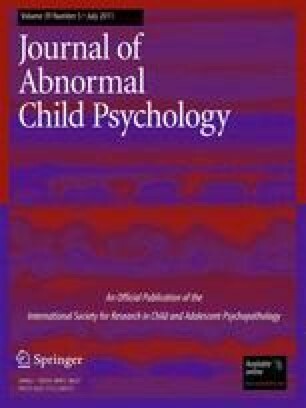 The findings add to the limited literature on the factor structure of PTSD in youths and on the five-factor PTSD model. In addition, they provide more detail into the latent psychopathological processes of PTSD, and inform the forthcoming DSM-5.